Earlier this year, along with 16 other municipalities, the Municipality of Rotterdam put together a comprehensive tender for adding more charging stations to the streets: an extension of up to 4,000 new charging points for electric cars in its entire concession area, of which 1,800 in the City of Rotterdam. The contract for the deployment, management and operation of the stations was awarded to our partner ENGIE Services. This ambitious commitment will help Rotterdam maintain its position as one of the leading cities in electric mobility adoption. Focusing on improving the air quality in its metropolitan areas, Rotterdam now undergoes a series of initiatives to become a role model region of sustainable urban mobility. One of the strategies defined by Rotterdam, The Hague Metropolitan Area (MRDH), and Gouda, was to expand the available charging infrastructure to encourage the use of electric transport. In the past five years, approximately 1,950 public charging points have been installed. This generated a whopping amount of 1.3332.447 kWh charged in the first half of 2016, equals to approx. 7 million driven kilometers! Big Data analysis is about to play a major role in the placement of these new charging points. This means that in addition to the installation of the charging points, the focus will be on an optimal use of the charging network. 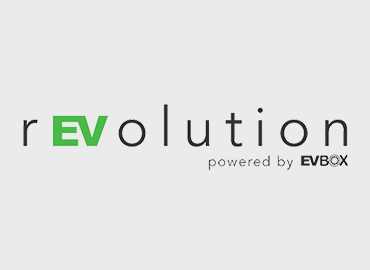 Smart Big Data analysis is crucial to this project, as ENGIE and the region of Rotterdam will rely on data coming from EV-Box charging stations, to closely monitor where, how, and how often EV drivers will be using these charging stations. On the basis of these analyses, the region of Rotterdam will install charging points where demand is indicated high. EV-Box will provide the charging stations behind this operation to expand the availability of public charging points to 4,000 by 2018. EV-Box' iconic LED-ring, combined with its ease of use and its extended network of 40.000 charging points worldwide, have made the call for Rotterdam's mission. We're incredibly honored to support, alongside ENGIE Services, the region of Rotterdam with this meaningful mission.